I have several dear friends who are June brides or were many years ago. It’s a lovely time to get married in Kansas. 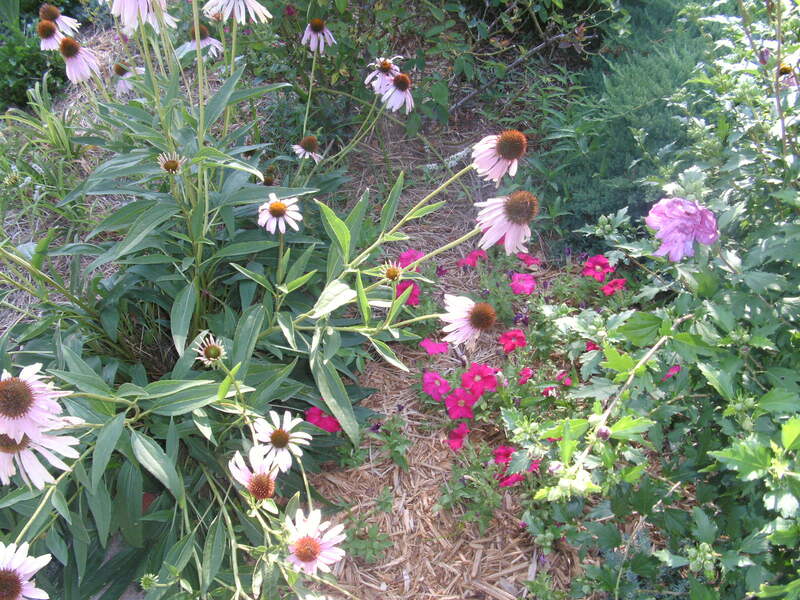 The garden in front of my house is an explosion of blooms; gladiolas, petunias, Rose O’Sharon, Kansas cone flowers…all soothing to the eye and heart. Although it is one-hundred degrees outside right now, I sit in air-conditioned comfort and watch the morning glory vines climb over my balcony railing. I listen to beautiful music on the Classic Arts Showcase and sip drinks cooled by my automatic ice-maker. I lead a blissful existence! I wonder, though, how it must have been eighty years ago, when my parents were young and Nature unleashed her fury upon the Midwest. I hear the old folks talk about The Dust Bowl. You covered the dinner plates as soon as they were dished up and then threw a tablecloth over everything. Children had to come the instant you called them in. You whisked off the cloth. Everyone ate as fast as they could before the food turned to mud. You blocked all the windows, doors, and any cracks with wet towels for fear the new baby might die of suffocation. What a difficult life it must have been for a new bride and her husband. I imagined a slice of their life in the poem below. I wrote it in honor of those resilient men and women of Kansas who wouldn’t give in to despair. They left me this beautiful land I love today. Sunlight traps my face on the bowl’s surface. ‘stead of swingin’ on the porch. This entry was posted in Nostalgia, Slice of life, Writing and tagged Hard times, Kansas, Kansas Historical Society, nostalgia, poetry, Reminiscence, The Dust Bowl, writing inspiration. Bookmark the permalink. We always heard about the drought and saw pictures of the parched earth in school, but they never taught us what daily life looked like. Thanks for sharing those memories and your poem – so many images in there. Great job, Cathy.